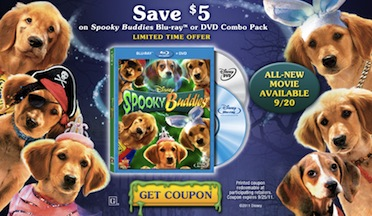 A Borderline Mom: Spooky Buddies on Blu-ray & DVD!!! 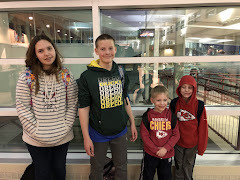 If you're like me, you go to WalMart... and if you're a parent, chances are you will end up having to take your kids with you (which I try to avoid like the plague.) Well, as we all know, the day after one holiday ends, WalMart has products out for the next holiday. So, my kids have known that Halloween is coming up since Labor Day, so now they are consumed by Halloween. This is a good time to get them Spooky Buddies! "For a goulish good time, catch Rosebud, B-Dawg, Buddah, Budderball, and Mudbud in their all-new Halloween-themed movie! SPOOKY BUDDIES continues the overwhelmingly popular franchise that features the adorable talking puppies, with action, laughs, and fast-paced adventure." 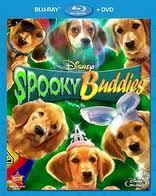 SPOOKY BUDDIES IS NOW AVAILABLE ON BLU-RAY AND DVD!! !